Serving the greater dance community throughout the Denver-Boulder metro area, CCD’s Professionals Program offers local dance professionals affordable rentals, daily technique classes, and long term artist residencies (through our residency program) at CCD. Designed to support local artists, this program reflects CCD’s commitment to building and sustaining the arts within our community. CCD’s donation-based daily professional classes provide a training center for local professionals to develop their craft in a variety of dance techniques. Halfway between Boulder and Denver, these classes serve the entire local dance community with offerings driven by our commitment to high quality dance education at all levels. We offer the program in partnership with the hand-selected group of teachers, often styled as an open company class connecting students with working professionals. Classes are donation based and drop-in friendly. All classes are drop-in available with tuition by donation ($5-$15 recommended). Payments are made directly to the teacher. Studios are available for pre-warm up 15 minutes before classes begin. This contemporary class, taught by Kat Gurley, explores a more animalistic and energetic approach to dance. It is highly physical, challenging long held levels of comfort and understanding to awaken undiscovered capacities with each dancer. It uses more traditional modern dance modalities as well as more contemporary and improvisational structures to awaken the animal body. It uses a strong rhythmical base as well as a play between raw power and release to get each dancer invested in not only individual experience, but also the generosity necessary for connection to one another. This class welcomes all professional dancers looking to play, connect and sweat! Wild Heart’s intermediate/advanced contemporary modern class explores the power of play as a means to unlock the body’s capabilities to dance from a place without fear. It uses various techniques based in modern, improvisation and rhythm to strengthen efficiency and execution of movement within the body. This class will encourage not only the technical dancer within each of us but the playful and exuberant spirit as well. This class welcomes and encourages all intermediate and advanced movers that are looking to delve into and strengthen their capabilities as dancers as well as fall in love with themselves as movers of spirit. 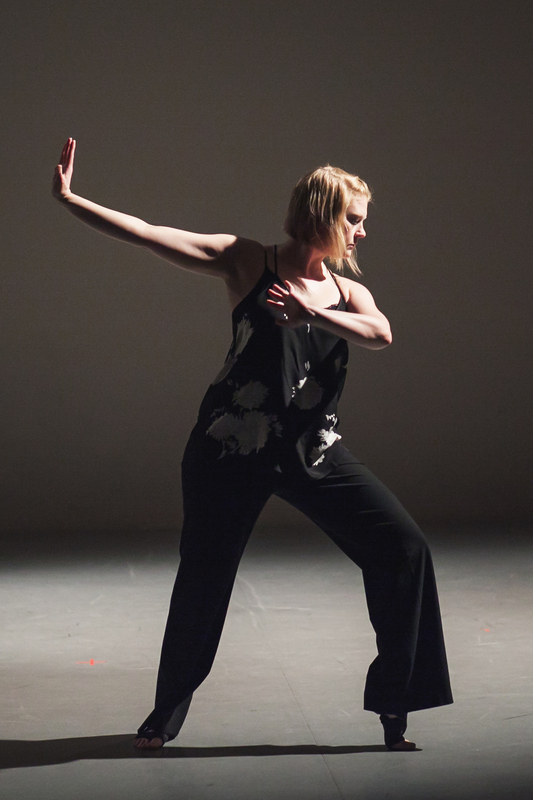 We will have Guest Teacher, Cortney McGuire teaching Contact Improvisation on February 21 and 28.